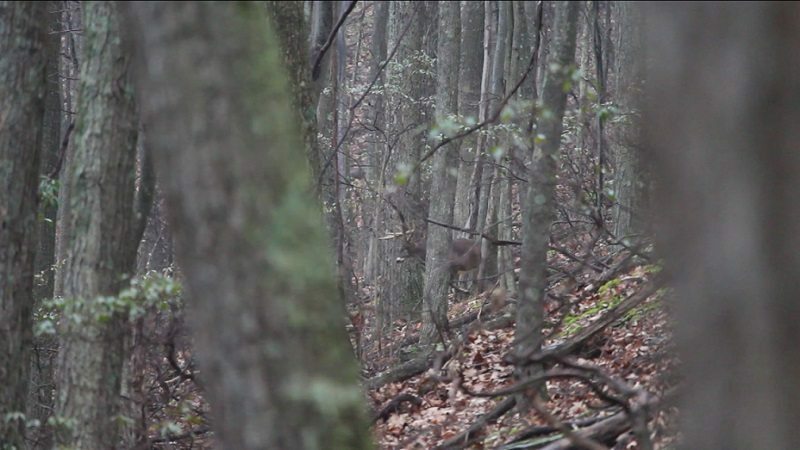 In the public land big woods of Pennsylvania, hunting one buck is no easy feat. The state boasts over three million acres of public hunting access, and with plenty of pressure, I never thought I’d be pursuing one of the largest bucks I’d ever seen there. This one buck, this one experience, was just what I needed to relight my hunting fire. A public land giant miles from the nearest paved road. I sensed an adventure beginning, and I couldn’t wait to get started. This story really began in the summer of 2015. My best friend and business partner, Jonas, took a job with the state’s Bureau of Forestry. The job gives him plenty of opportunities to be outside on state forest lands. As an avid whitetail hunter, this also doubles as plenty of time to scout the public hunting grounds for real-time deer sign. He was able to locate multiple mature bucks and their general home ranges over that summer. 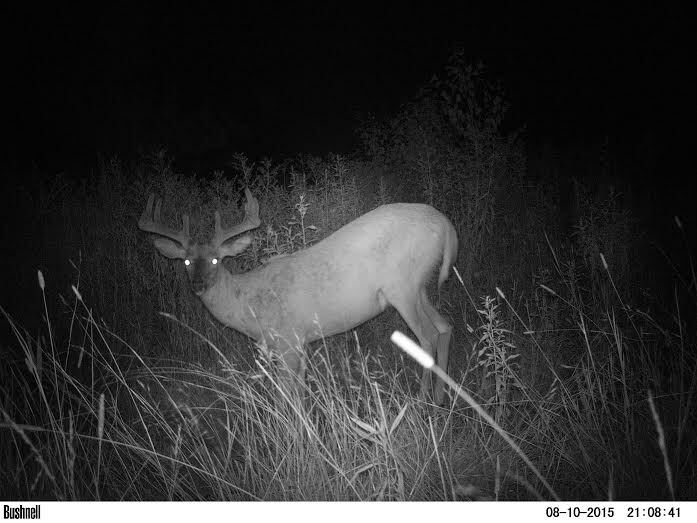 He deployed our trail cameras in late July and we were pleased with the results. We got pictures of multiple shooter bucks, including the wide 10 previously mentioned. I tried not to get too excited. We had nearly two months until the October-3rd bow opener, and you never put all your eggs in one basket on Pennsylvania public land. As the season started, we focused our efforts on areas where deer were more predictable. 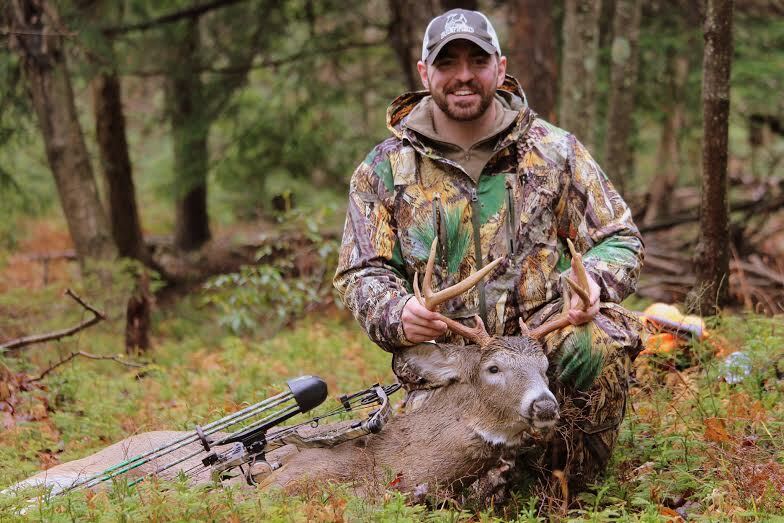 Big-woods whitetails can be incredibly difficult to pattern, so we hunted the valleys where the ridge-to-agriculture feed pattern was relatively consistent through October. However, as November approached, our minds began to return to the mountain bucks we’d scouted earlier in the summer and fall. 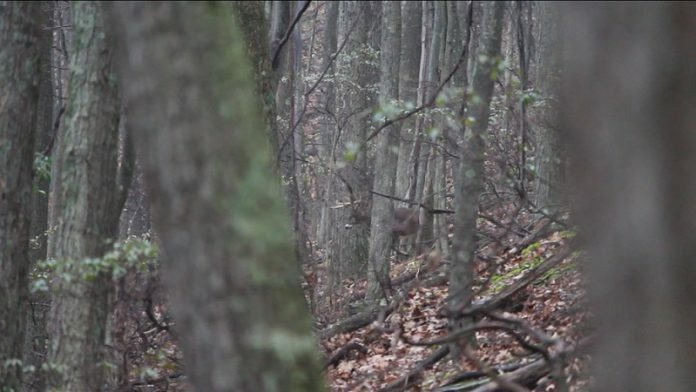 With the rut coming on, we’d finally have the advantage we needed to hunt the mountainous big woods. We put plans in the works to sneak into some likely travel corridors we thought the rutting bucks would be using. The pre-season scouting certainly paid off. It was the first week of November when two of my business partners hiked into a basin a mile and a half from the nearest access point. The basin was open hardwoods with an old clearing at one end and a stream running down the center. They were covered in deer as soon as the sun began to rise. Multiple bucks were cruising the basin, including a couple of shooters. Brad scored on a nice heavy-horned nine point at 20 yards. A well placed arrow put him down within sight. I was bummed I missed out on this hunt and some great rutting activity. The area we’re hunting is over an hour drive from home, so it makes it tough to hunt unless we have all-day to dedicate to being in the woods. But, the success my business partners were having convinced me that I needed to make an effort to hunt there once the gun season opened. 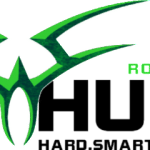 Archery season in the commonwealth ends in mid-November, just before the heavy rut begins. With the onset of the gun opener right after Thanksgiving, I knew that the public land would be highly pressured. 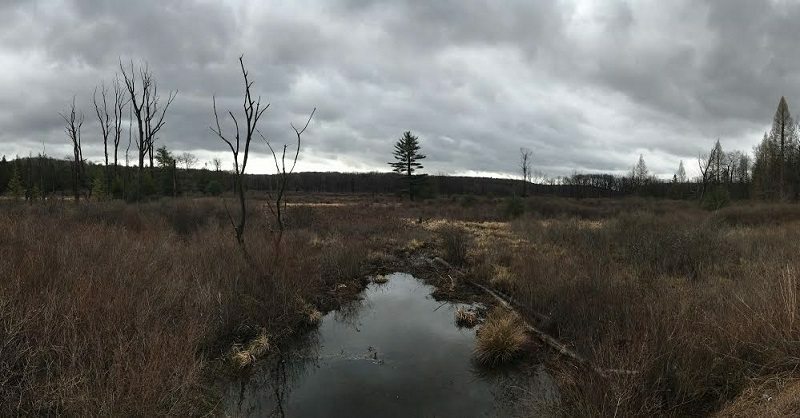 Pennsylvania sold nearly a million hunting licenses in 2014 (the most recent data), and many of these hunters rely on public lands to do their hunting. I wanted to let the pressure die down before I got out there, and I was hoping that one or more of the bucks we targeted would make it through the two-week season. We finalized plans to make it to the state forest on the last day of the gun season which fell on December 12th. Myself, three business partners, my brother, and another friend made the drive early that morning to hunt for the day. We were going to hunt a very steep, narrow valley where we took multiple trail camera photos of the wide, long-beamed 10. This brings us back to the beginning of this story. Through my scope, I saw the large body and a wide, heavy-beamed rack. I followed him in the crosshairs waiting for him to slow his trot. When he did, his vitals were behind a tree. I pulled my head off the scope to anticipate where I might get a shot. He moved and I didn’t see him again until the drive pushed him into the bottom of the valley at a full run. He simply disappeared. Brad, who was now without a tag, had the buck in sight the entire time and captured some really great video of the deer. It was through this footage that we confirmed that it was indeed the wide 10-point. We hunted the remainder of that valley hoping to find the him again, but he had vanished. Although he’d escaped, he’d stirred something inside me. We were pretty certain that he would make it through the late archery season since he had managed to make it through the heavily pressured gun season. We looked for his sheds in spring 2016, but haven’t had any luck. In a way, I’m glad that I didn’t harvest the buck that day. He will be a real giant this year if we can locate him again. We’ll spend the summer scouting, running trail cameras and looking for his preferred bedding and feeding locations. But more importantly than him gaining inches of antler, he sparked a new desire of mine for adventure. Hunting and adventure are synonymous in the West. In the East, not so much. We do have tradition though, and lots of it. But it is adventure that I am seeking. I want to prove to myself that adventure can be had in eastern whitetail hunting for those who seek it. Long hikes carrying stands and gear, packing out a successful harvest, and dealing with some of the densest hunting pressure in the country appeals to me for some reason. I have to thank Jonas and that wide, heavy 10-point for opening my eyes to what I have around me. Pennsylvania has some beautiful and remote public land, and mature bucks live there. I needed a change to my hunting routine, and I’m certain this added sense of adventure will be just what the doctor ordered. It has become bigger than a deer hunt; a hunt for adventure, a hunt for something that I may not even understand yet. One thing I believe is for certain: adventure can be had by those who seek it, regardless of age or location. 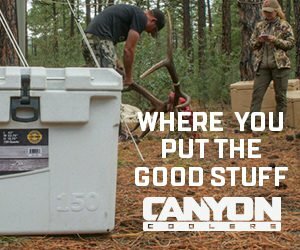 He deployed our trail cameras in late July after seeing some mature bucks on the hoof, and we were pleased with the results. 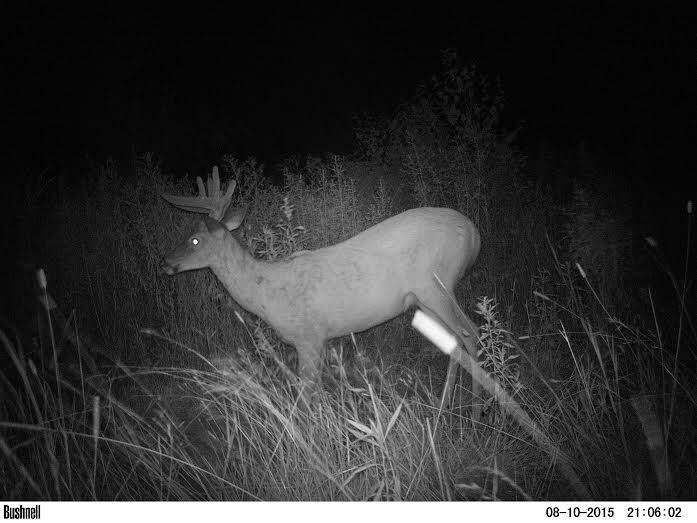 We got pictures of multiple shooter bucks, including the wide 10 previously mentioned. I tried not to get too excited. We had over two months until the October- 3rd bow opener, and you never put all your eggs in one basket on Pennsylvania public land.